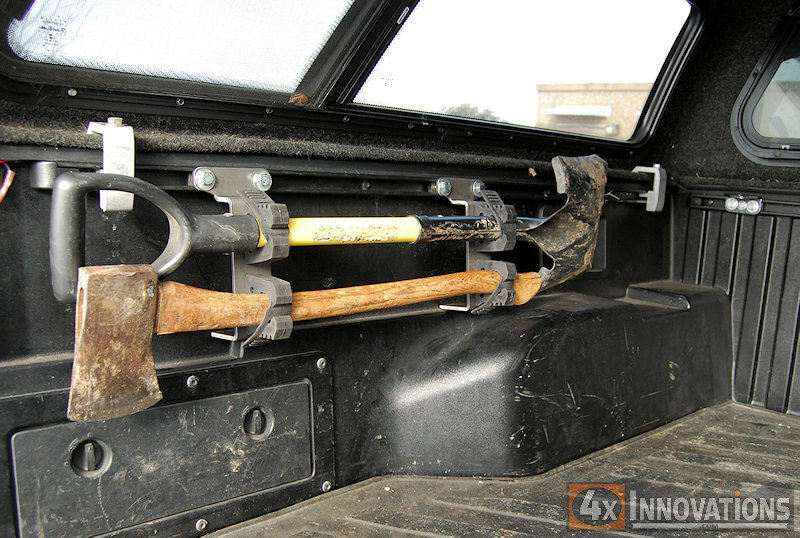 These mounts are the best and simplest solution to mounting your expedition and offroad accessories in the bed of your 2005-2018 Tacoma or Tundra. They require NO modifications, NO holes drilled, just a simple bolt on installation. 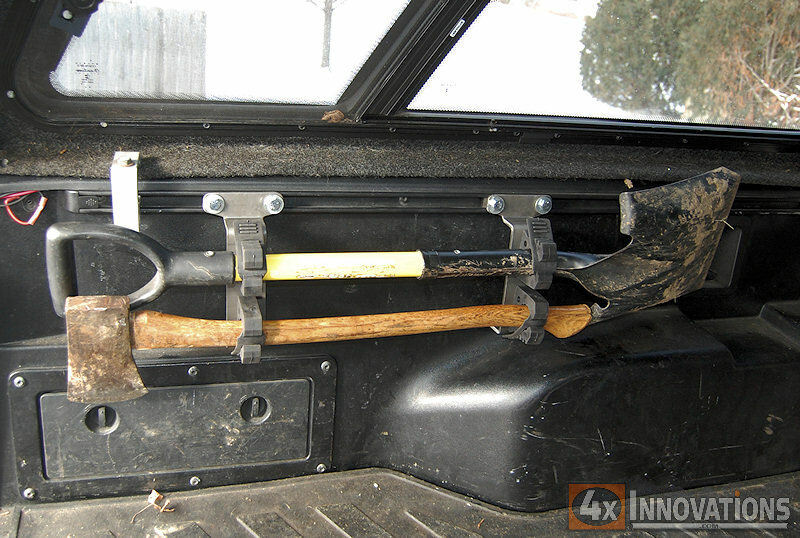 The only tools required are a 9/16" wrench or socket, screw driver, and 3/8 wrench. 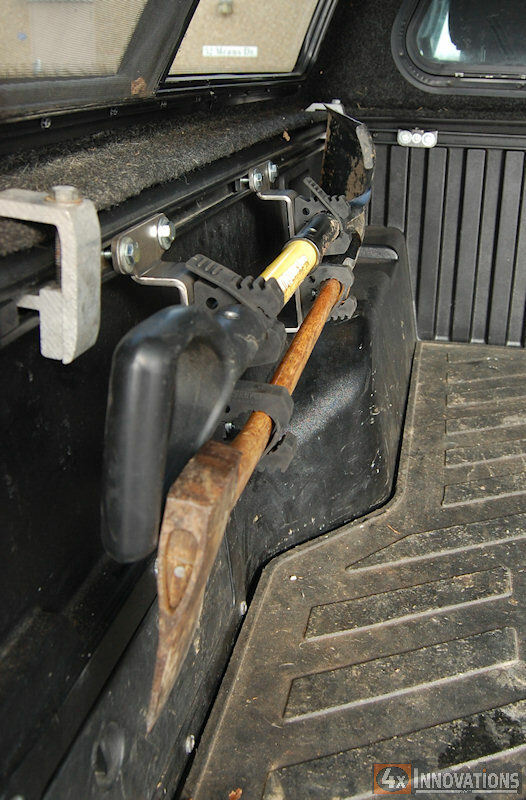 They hold your shovels, axes, jacks, picks, flash lights, and more securely to the side of the bed utilizing the factory universal track system. 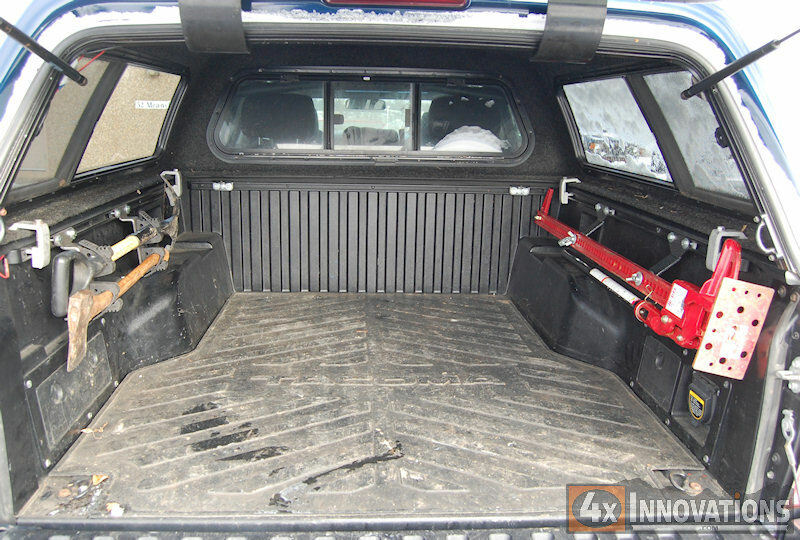 They can be adjusted towards the front or rear of the bed, whichever suits you better. Also mounts to the front of the bed! Kit includes 2 brackets and all required hardware. Quick Fists not included unless added above. Quick Fists ordered above include mounting hardware. Ships bare steel, ready to paint with the coating and color of your choice. Accessories not included. Note: This is item # ATO6016, we are updating our part numbers.